Primal Spirituality is connecting to our source and embracing our destiny. It is reclaiming our first spirituality—the spirituality we were born with. And it is answering the call of our future, which is to embrace our role as co-creators on Planet Earth. Primal Spirituality is the innate spirituality of humankind. This is the reality behind all the world’s religions and spiritual paths. It is the key to our conscious function as creators, and our access to Universal Love. And it is the remedy for the ignorance, dysfunction and self-sabotage that afflicts humanity. Passing through these gateways, participants embrace their own deeper wisdom around the feeling currents that flow through the emotional body. And they acquire enlightened spiritual intelligence that has practical application in their lives. People who take the Primal Spirituality courses have the opportunity to explore the realness of their humanity from a spiritual perspective. This deepens their personal mastery as a creator, and learn to assist others to move into that same experience. The courses unlock the creative genius that inspires liberated thinking and opens new pathways of Universal Love. These courses consist of clear presentations and powerful experiential exercises that lead each participant into a knowing of their Primal Spirituality. Primal Spirituality courses are led by an experienced team of teacher-facilitators, who assist participants on the journey of becoming on the outside what they already are on the inside—a Being of great wisdom and love. David Karchere is an author, speaker, poet, workshop facilitator and foremost thought leader on Primal Spirituality worldwide. David has created and led programs for spiritual awakening and personal transformation for people around the globe. David’s first book is "Becoming a Sun: Emotional and Spiritual Intelligence for a Happy, Fulfilling Life". The book is a guide to the human journey, individually and collectively. David believes that humanity is evolving to become a conscious expression of the creative power within us. 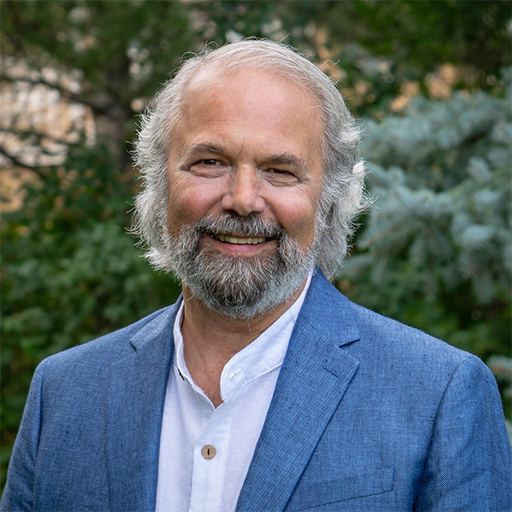 David is the spiritual director at Sunrise Ranch, a teaching and demonstration site for Primal Spirituality, and the leader of Emissaries of Divine Light, a global spiritual network. People who take the Primal Spirituality courses have the opportunity to come into their own personal mastery as a creator and to assist others to move into that same experience. The courses unlock the creative genius that inspires liberated thinking and opens new pathways of Universal Love.